The USAID Specialty Coffee Program leveraged public and private sector support and provided assistance at all key stages of coffee production to local coffee farmers in Colombia. The nonprofit organization ACDI/VOCA acted as the implementing agency for USAID’s Specialty Coffee Program. The program aimed at raising coffee farmer’s productivity and competitiveness, contribute to environmental sustainability and strengthen Colombian institutions. Essential to the program was outreach and the development of networks that leverage particularly public-private partnerships and strengthen the coffee value chain in the country. As a result, the program entered into a number of public and private partnerships including the Coffee Quality Institute, Nespresso and its AAA Sustainable Quality Program, Sustainable Harvest, Intelligentsia Coffee and Tea, and Colombia’s government organizations Acción Social and Servicio Nacional de Aprendizaje (SENA). Originally a 4.5-year, $7.8 million project, ACDI/VOCA was given a $2 million, 18-month extension by USAID in October, 2010. The National Learning Service (Spanish: Servicio Nacional de Aprendizaje) (SENA) is a Colombian public institution focused in the development of programs of professional formation. It's a government initiative to develop education in Colombia and foment employment. The National Apprenticeship Service (SENA) is responsible for fulfilling its role for the State to invest in the social and technical development of Colombian workers, providing and running free Comprehensive Training for the incorporation and development of people in productive activities that contribute to the social, economic and technological development. 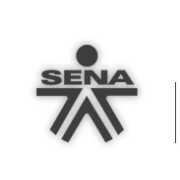 The National Apprenticeship Service-SENA, was established on 21st June 1957 as a result of a joint initiative of organized workers, businessmen and the Colombian Catholic church with the support of the International Labor Organization (ILO). Since then, it remains a legal public national establishment, with its own equity and patrimony and administrative autonomy, being part of the Social Protection Ministry. SENA provides free comprehensive training. It has nationwide presence and has an extensive infrastructure of laboratories and workshops to benefit technological companies at all levels. It continuously explore labor market trends and renews its offer of training in consultation with the manufacturing sector. The Coffee Quality Institute (CQI) is a nonprofit organization working internationally to improve the quality of coffee and the lives of the people who produce it. CQI provides training and technical assistance to coffee producers and other individuals in the supply chain to increase the value, volume and sustainability of high quality coffee production. CQI also works toward building institutional capacity in coffee producing countries by creating systems and infrastructure that encourage a focus on quality that leads to higher farmer incomes. Coffee is one of the most traded agricultural commodities in the world and more than 125 million people rely on its production for their livelihoods. Their industry faces a challenge because many of these people are small to medium-sized coffee farmers who are struggling to earn a sufficient income for their families. The Coffee Quality Institute (CQI) is working to address these issues by staying focused on quality. They believe quality is the most important variable affecting price and subsequently the livelihoods sustained by that price. Stable and prosperous coffee communities translate into a sustainable supply of quality coffee for the industry. While they have a very human agenda, CQI solutions are economically driven and provide an innovative and highly efficient approach to sustainability. At the core of their efforts, is a commitment to training and education, providing coffee producers with the tools they need in order to compete in the world marketplace. They have created a market platform that improves on existing trading practices and increases transparency so that farmers can be rewarded for their quality efforts. CQI has worked on a multitude of coffee programs in central and South America, east Africa, Indonesia, and Asia, completing over 500 training assignments while building a common language of quality used throughout the supply chain. On any given month, they are in the field, teaching producers how to process coffee more efficiently or teaching a Q Course via one of their talented Q Instructors or working with national coffee associations to instill forward-thinking change. The impact is immense and long lasting. So whenever you’re enjoying a cup of high quality coffee, it’s very likely that CQI has touched the supply chain at some point, creating more value, a common language, and a deeper respect for the commodity they all know and love. CQI developed the Q Coffee System, now for both Arabica and Robusta, to reinforce and uphold the standards of specialty coffee as defined by the Specialty Coffee Association of America (SCAA), which has been setting quality standards within the coffee trade for 26 years. The Q Coffee System is internationally recognized and utilized as the primary instrument that supports SCAA standards. Coffee Corps is a unique private-public partnership that matches experts in the industry with farmers and associations at origin seeking technical assistance. These individuals volunteer their own time in order to help producers improve their production methods, quality control processes or marketing. Launched in 2005, the Women in Coffee Leadership Program was originally developed as a yearlong initiative to connect women from different sectors of the coffee industry. This program was designed to develop the diverse talents of women within the industry, strengthening their leadership and technical skills so that they could become stronger and more effective leaders in their home countries and take on broader leadership roles in the global coffee community. Intelligentsia Coffee & Tea's story begins in 1995 - a story not so different from many other entrepreneurs and dreamers. At the time, finding great tasting, fresh roasted coffee was surprisingly elusive. So, Doug Zell and Emily Mange decided to do something about it. They didn’t set out to change the world, just a small corner of it. Fast forward 21 years, and Intelligentsia still holds true to the values that have inspired them since day one. They have grown, they have evolved, but they certainly haven’t changed. Through their coffeebars, Roasting Works, and training labs, they now make their home in five quintessential American cities, each possessing distinctive characteristics that resonate within the Intelligentsia brand. From Chicago, they inherit the Midwestern work ethic and pragmatism that embodies the city of Big Shoulders. Los Angeles inspires them to dream big. New York reminds them of the need to be authentic and to live up to their own lofty expectations. Atlanta’s unmistakable Southern charm creates a model for their commitment to service. And cosmopolitan San Francisco fuels their continual push for innovation. Alone, each of these attributes is formidable. Combined they define their commitment to sourcing, developing, roasting, and distributing the world’s finest coffees. They didn’t adopt Direct Trade practices because it’s a trendy way to do business; they introduced the concept to the coffee industry. Their commitment to direct trade allows them to cut out unnecessary importers and exporters, and enables them to truly partner with their growers. Their buying team travels the globe and is collectively in the field virtually every day of the year, sourcing new grower relationships and working with their existing farmers. They meticulously collect data, insights, and best practices from all of our growing partners and share them to improve overall quality. They also tie adherence to sustainable farming and environmental practices with our commitment to paying above Fair Trade prices for truly outstanding coffee. This ensures responsible stewardship of the land, and a sustainable business model for our farmers, resulting in partnerships that thrive year after year. Because of this, they were able to provide you with exclusive, remarkable coffees you won’t find anywhere else. They believe coffee in all its forms—whole bean, brewed, and espresso—should be an approachable, accessible luxury. Our goal is to make our coffee a memorable addition to any experience, and to make the act of preparing and enjoying a cup of our coffee an experience in and of itself. Sustainable Harvest sources and imports specialty coffees from the finest producers around the world. We create transparent and sustainable supply relationships, investing in training for farmers and ensuring that coffee arrives reliably in its highest quality state to roasters. Since 1997, we have paid nearly $200 million to coffee farmer organizations in Latin America and East Africa. In addition, we have channeled significant investments — over $1.2 million in 2010 — to these coffee-growing communities.Today, our farmer partners supply one out of every five pounds of certified Fair Trade and organic coffee sold in North America. 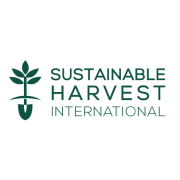 Sustainable Harvest invests more than 60 percent of our operating expenses into farmer training, technology, and infrastructure that our supply chain partners — especially smallholder farmers — need to be successful. As our business grows, so does the good we do in coffee-producing communities. Each harvest, these investments allow us to import better quality coffee at higher volumes. As our business reaches a certain scale, the revenue from coffee sales funds the supply-side activities in a unique, self-sustaining model. Our four offices in Mexico, Peru, and Tanzania provide a platform for additional initiatives in reforestation, food security, and health services. The law 1448 of 2011, accounted for the country a breakthrough in terms of recognition and dignity of victims through the realization of their constitutional rights, for which the national government in a transitional justice framework establishes a set of legal, administrative, social, economic, individual and collective measurements, for the victims of violence benefit. To achieve this objective and in order to avoid duplication of functions and ensure continuity of service, with no time attention to victims affected, it was decided to transform the Presidential Agency for Social Action and International Cooperation – SOCIAL ACTION - Administrative Department in charge of setting policies, general plans, programs and projects for assistance, care and compensation to victims of violence, social inclusion, attention to vulnerable groups and social and economic reintegration. 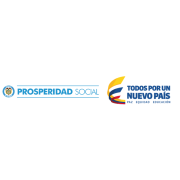 In this sense the transformation of social action takes place, leading to the creation of the Administrative Department for Social Prosperity, which has as main challenge progress in overcoming poverty, inclusion of vulnerable and victim of violence, and the consolidation of the territories through ensuring the presence of the state on a path of prosperity and reconciliation.